Prestige Groups the well known Builders are here to publicize the prelaunch project by name Prestige Temple Bells at Rajarajeshwari Nagar. 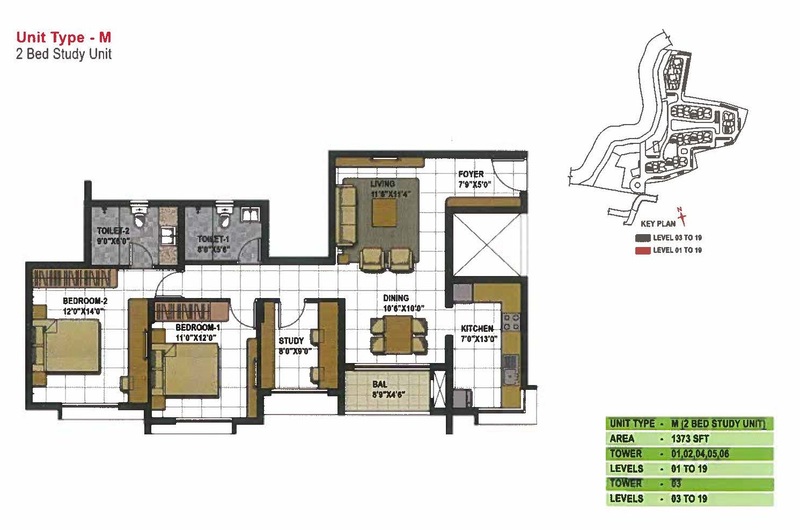 Prestige Temple Bells located primly at Rajarajeshwari Nagar West Bangalore, being the unsurpassed place for all the basic amenities to be fulfilled with some of the special ones. 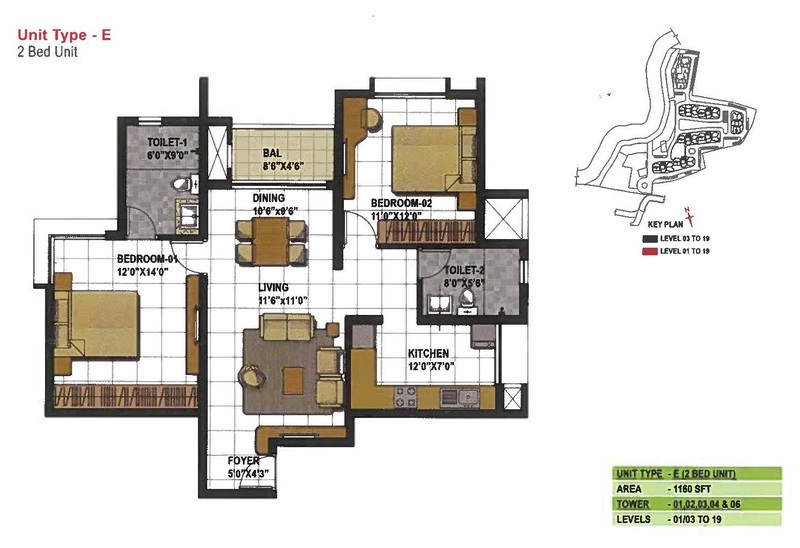 Its close connectivity to NICE Road, Kengeri, Electronic city and Mysore Road is an added Advantage to the Home Buyers.Spreads over a total land area of 13.5 Acres, Housing 1,2, 2.5 and 3 BHK’s for the dwellers. 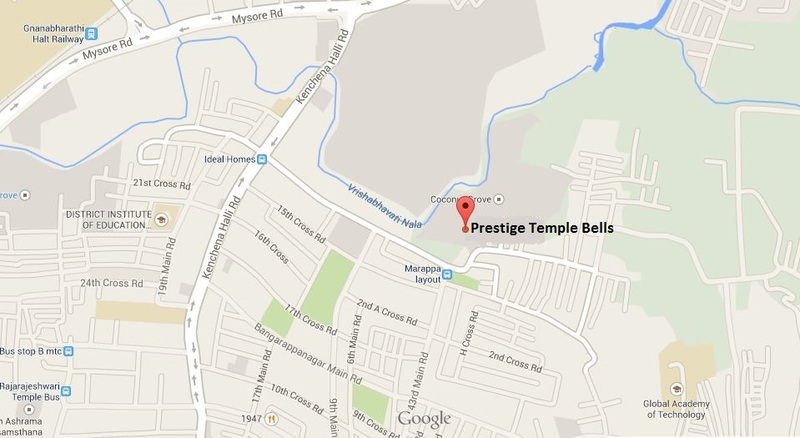 1) Where and what is Prestige Temple Bells? Prestige Temple Bells is located near Rajarajeshwari Nagar Arch, Bangalore. 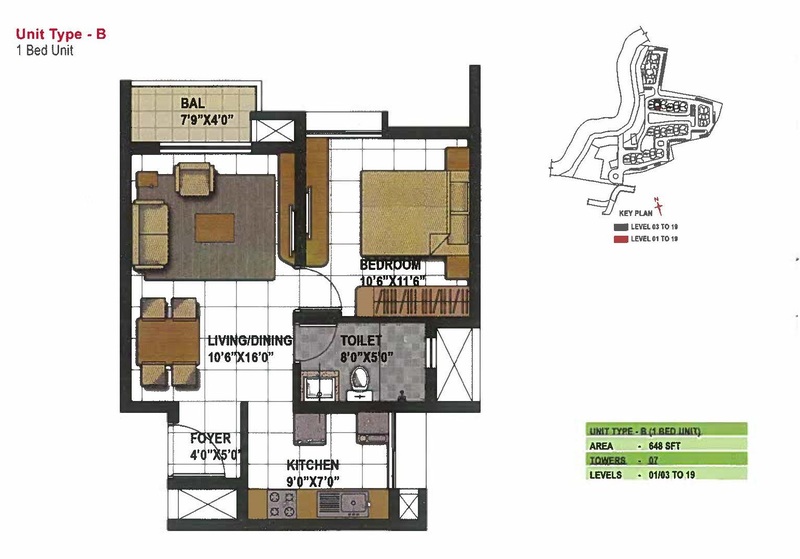 This is a residential development set in 13.5 acres of land. The project consists of 968 Apartments spread across 9 Towers having 19 and 14 levels. 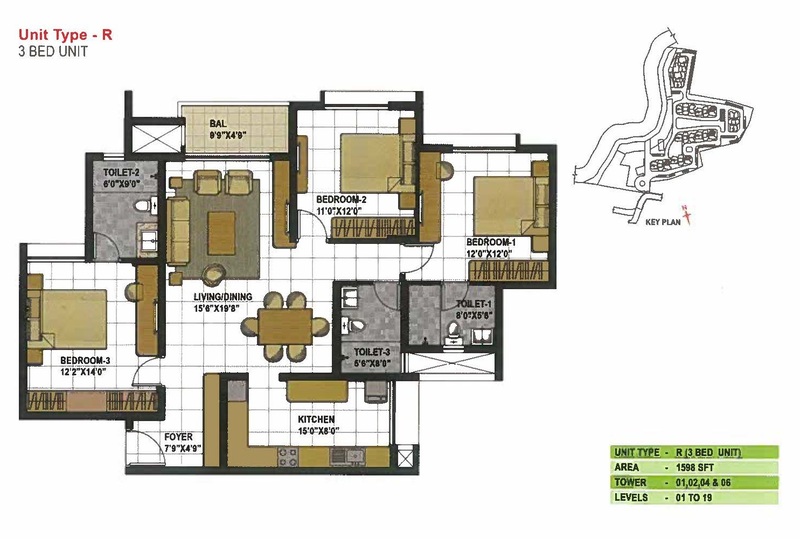 It consists of well planned residential development. 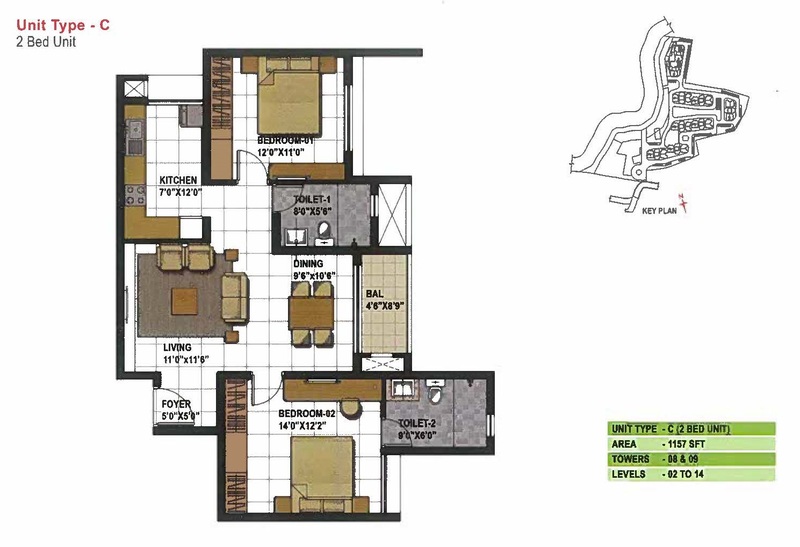 It is a strategically located in Rajarajeshwari Nagar; it has a combination of 1, 2, 2.5 and 3 Bedroom Apartments to pick and choose from with all high-end Amenities. It’s not Phased development, Construction will start from January 2015 will be completed by 2018 May. Rajarajeshwari Nagar Arch is the nearest land mark. 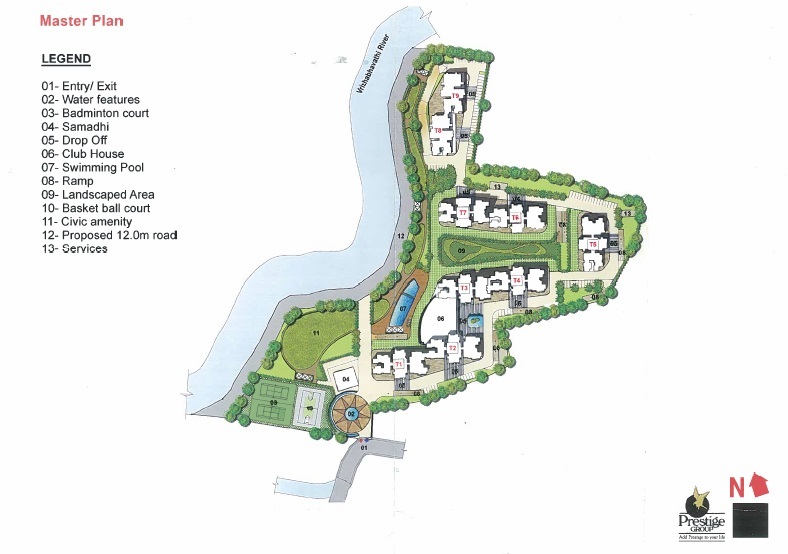 Project covers 13.5 Acres of land development. Construction will start from January and will be completed by 2018 May. 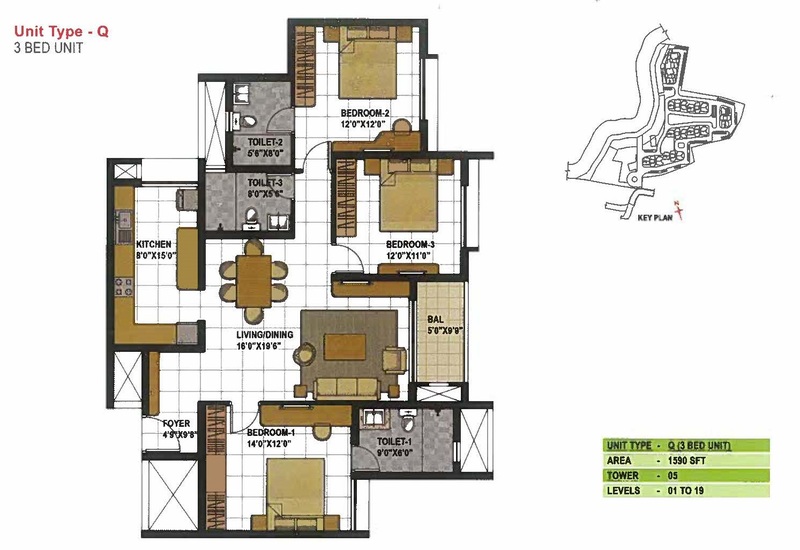 The project is 60% vastu complaint. 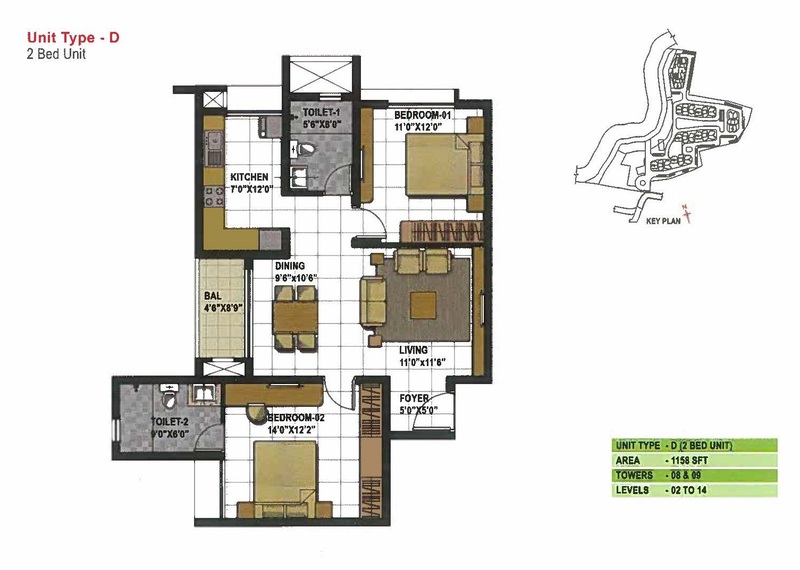 Yes, Model flat of 2, 2.5 and 3 BHK is available. 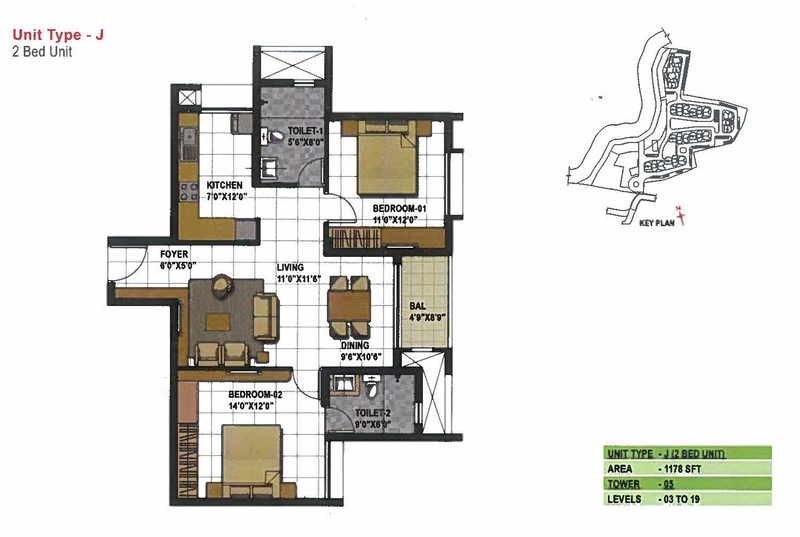 One can visit the site to view the model flat. 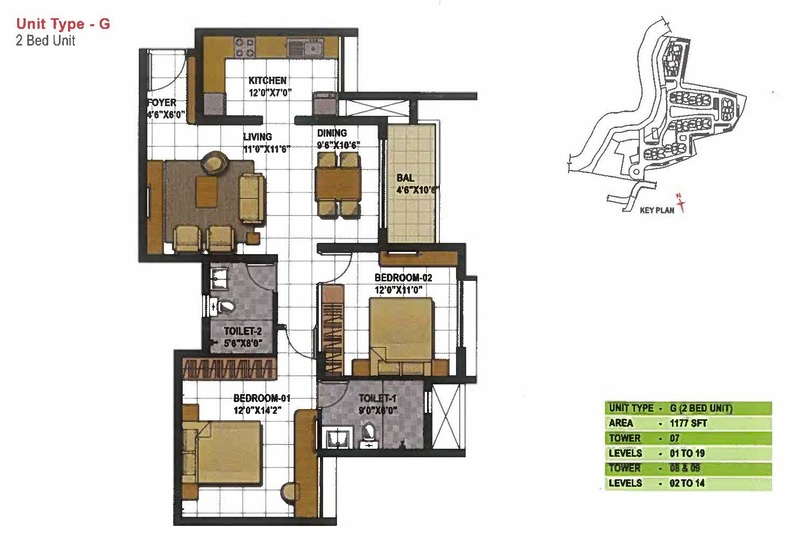 13) What are the different face available if 2, 2.5, 3 and 4 BHK? 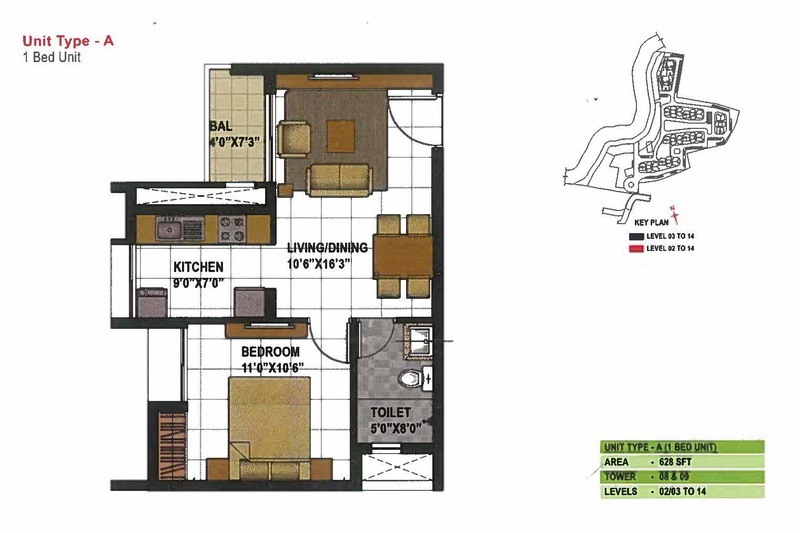 2, 2.5, 3 and 4 Bedroom units area available in North, East and West facings. 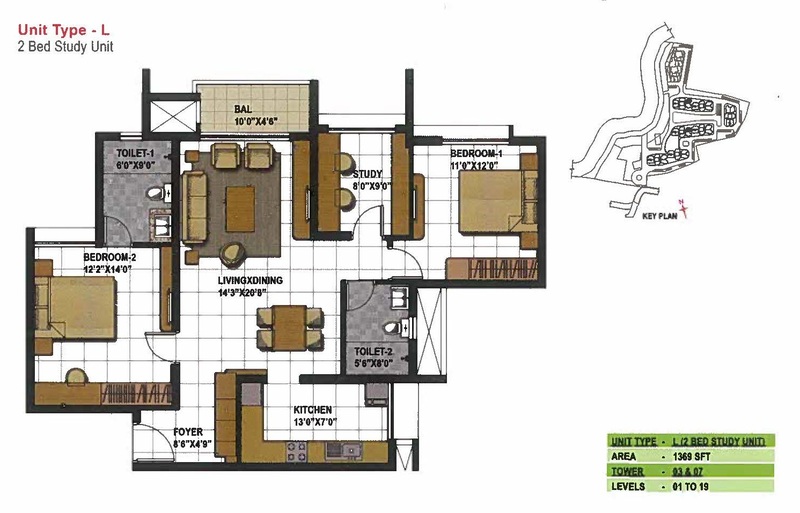 Yes, It has a floor rise of Rs.15 per floor and garden facing units will have Rs.4500/ sft and 4650/ sft as the basic charges. 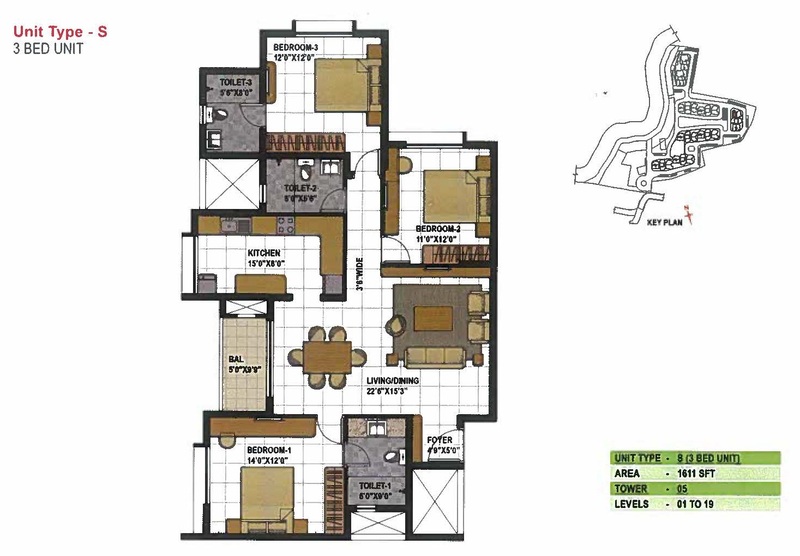 Yes, The size of the club house is 50000 sft. Installments are to be paid by way of post dated cheques which is a pre-condition of the allotment. This schedule of payment is not linked to the progress of the construction but on a time bound basis as mentioned in the payment schedule. The Govt. body BDA has sanctioned the plans and all the banks have approved the project. The maintenance will be taken care of by Prestige Property Management & Services. A sum of Rs.45/- per sft will be charged as the advance maintenance fee for the first year and will be collected at the time of closing of your account. From the second year onwards, maintenance charges will be levied as decided by the Association/Prestige Property Management & Services. 21) Who are the Architects/Master Planners of Prestige Temple Bells? 22) What will be the price appreciation at possession? 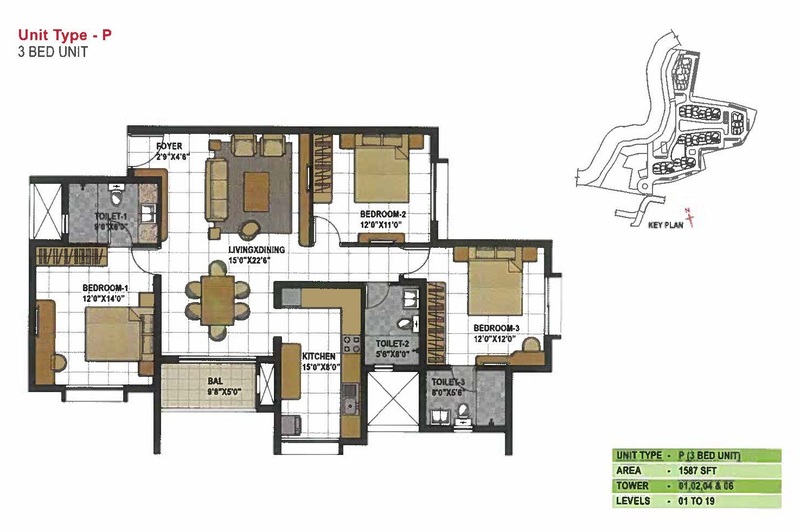 The current land value is around Rs.6,500/sft, so it will be Rs.8,000/sft at the possession. 23) What is height of the roof? The project possesses 73% of carpet area. 25) What is the open space? The project has 70% of open space. 26) What if I need additional car? The allotment will be done during the time of agreement, and it will cost Rs.2.5 Lakh. 27) What is service tax and registration cost? Both service tax and registration cost include 15% of the sale value. 28) What Khatta is this? It is ‘A’ khatta BBMP approved. 29) Will I get Occupational Certificate? Yes, The certificate will be allotted at possession. 30) Can I do some modifications? 31) Is payment in Cash accepted? No, the payment should be either through DD or Cheque. 32) How do I book my home at Prestige Temple Bells? 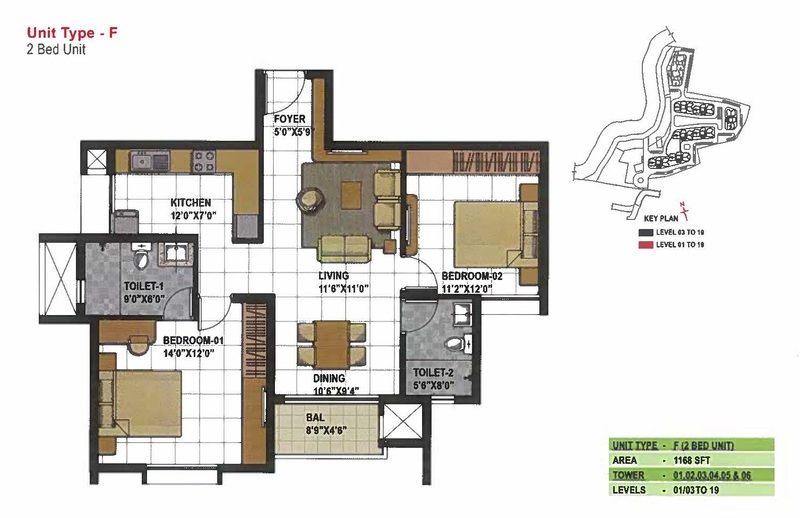 Identify your Apartment from available options. Pay the initial booking amount by a cheque/DD favoring ” PRESTIGE ESTATES PROJECTS LIMITED” together with required supporting documents. The booking Amount is 20% of the sale value , with the current dated cheque of booking amounts and second cheque for balance 20% dated 30 days from booking. 33) What will be the compensation on delay? The compensation delay will be as per the Bank interest. 34) What will be the lock-in period? The lock-in period will be for 1st 3 installments or six month; hence it will be till mid of 2015. 35) What will be the transfer charges to the builder? And will the builder buys the unit back? Builder will help in buy back of the units and the transfer charge will be Rs.100/sft. 36) What will be the cancellation charges? The cancellation charges will be 1% after booking and 15% after the agreement on the sale value. 37) What about Car parking space? Parking space would be sufficient for one SUV and two bikes. 38) What is the process of registration and when does registration take place? Registration will be done only on completion of the development and on payment of the entire sale consideration including the additional charges. Registration will be facilitated by Prestige through an advocate appointed by Prestige. 39) How many lifts are available on each tower? And how big is the service lift? Each tower consists of 2 lifts. 40) How is Water facility and Source of Water? The major source of water is the ground water and it also has cauvery water connection. 41) What are surrounding and upcoming developments in nearby? The major developments in nearby area are Gopalan Mall, PESIT, Jain College, easy access to Global Village, Mysore road. 42) What will be the UDS of project? UDS will be allotted at the time of possession. 43) Is the title of the property clear? Of course, you are dealing with Prestige. The land is freehold, marketable and free from all encumbrances. 44) What are the agreements that need to be signed? The agreements that need to be signed are Agreement to Sell and Agreement to Construct, followed by a Sale Deed. 45) Can I have Discount on prices? 46) Where is the nearest metro station to the project? The nearest metro station is the Rajarajeshwari nagar station. 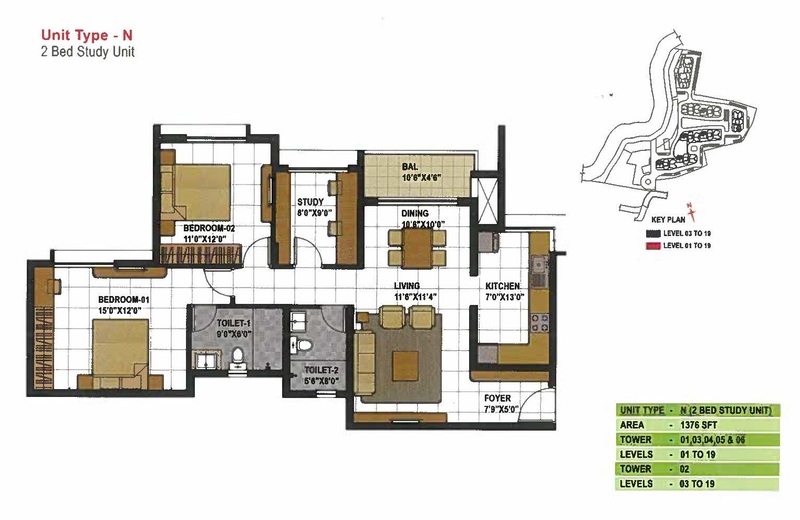 Party Hall,Swimming Pool, Gymnasium, Health Club, Tennis court, Basketball Court, Squash Court, Badminton Court, Indoor Board Games, Table Tennis, Billiards and Library. The Prestige Group owes its origin to Mr. Razack Sattar, who envisioned a success story waiting to take shape in the Retail Business in 1956 itself. Since its formation in 1986, Prestige Estates Projects has grown swiftly to become one of South India’s leading Property Developers,helping shape the skyline across the Residential, Commercial, Retail, Leisure & Hospitalitysectors. were good enough to ignore the disadvantages. End of the individual choices. I don’t want to promote this project. together till we get this in hand. 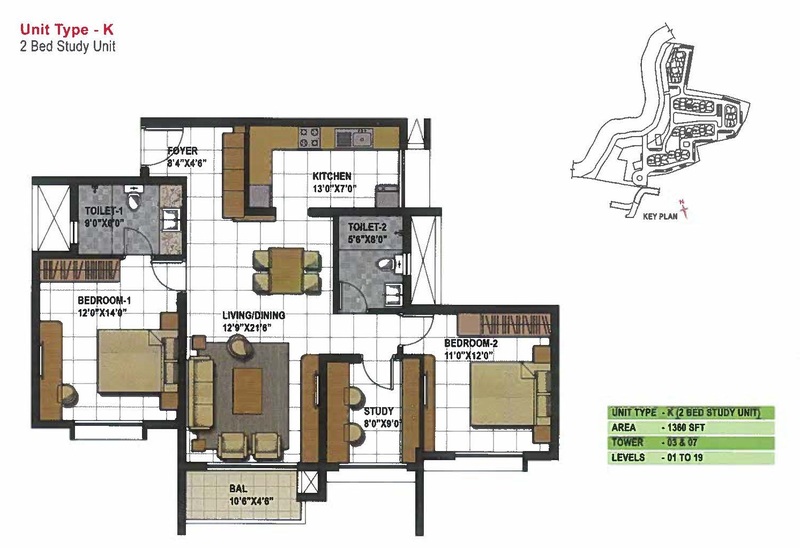 Prestige Developers are excellent in construction. I had a site visit for Temple Bells the model house look good. But the biggest concern is it is next to Bangalore famous river Vrishabhavathi which has drainage water of whole Bangalore as known. If you come outside the you won’t feel fresh air instead of dirty smell of Vrishabhavathi.